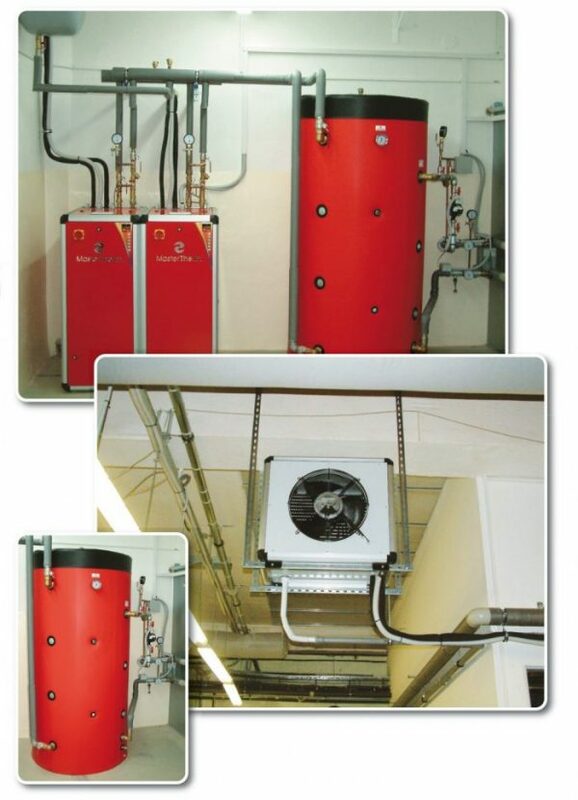 A system of waste air heat recovery from the working area of a laundry service company. The laundry operation creates considerable heat load and at the same area also requires active cooling and ventilation throughout the year. Also the washing machines require significant amount of hot water for their operation, which was originally prepared with direct heaters. Now following the installation of an air-water heat pump systems this has significantly reduced the heat load of the workplace and the recovered heat is used for heating of process hot water. The benefits of this solution has resulted in reduction of air-conditioning costs of the production premises and the replacement of electric heating of washing line water with heat pump heating.